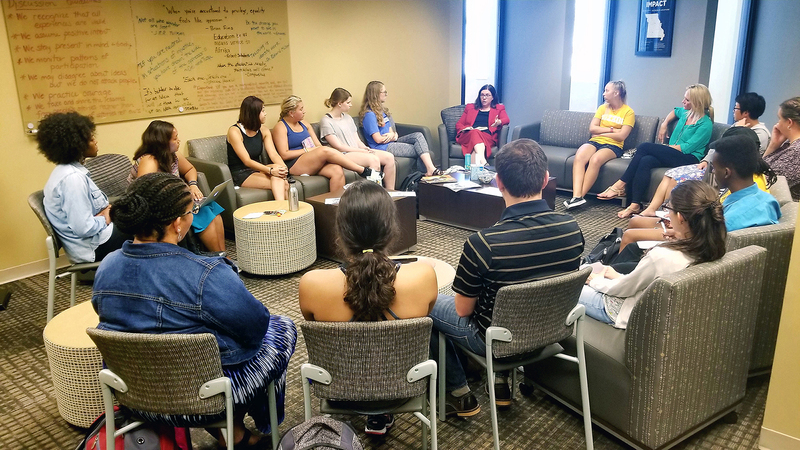 In August of 2015, the College of Education launched The Bridge as a “brave space” for students, faculty, and staff to develop and expand their multicultural knowledge, awareness, and skills. Adapted from the Office of First Generation and Diversity, Stanford University. The Bridge provides programming, activities, and opportunities for individuals in the College of Education to connect with one another. These connections aid in the understanding of our shared humanity while valuing our different cultural assets. Get Involved @ The Bridge! Students interested in further involvement can apply to join the Student Advisory Committee. The Bridge is available for classes, meetings, presentations, or interactive discussions regarding a wide range of diversity topics. How does The Bridge define “diversity” and “inclusion”? Currently, we use the definition that the Association of American Colleges and Universities (AAC&U) created to describe diversity. The Bridge will initiate conversations and implement programming according to these definitions in order to promote an inclusive and supportive environment where all MU College of Education students, professional staff, and faculty are celebrated and valued.